Google Maps is probably the company’s most used, most successful service. While it’s a treasure trove for Google when it comes to user data, it’s never been big on advertising. According to a new report, however, it seems like Google Maps could soon start showing a lot more ads. Exactly how this will make itself known is unclear, but if recent comments from Google in a Bloomberg report are any indication, more users can expect to see Google’s money-making tactics in Maps. Of course, Google showing advertisements of some sort in Maps isn’t entirely new. 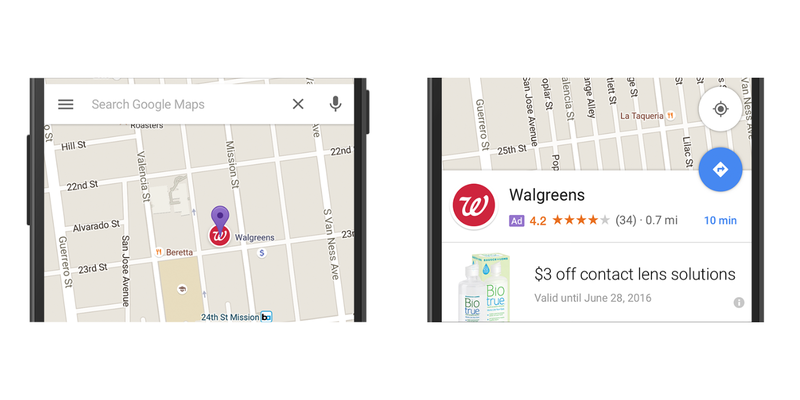 For years now, Google has been showing sponsored locations in Maps, as well as direct advertisements on location pages. However, according to the report, Google is looking into new ways to tap this market. Speaking with Google executives, four distinct parts of the Google Maps experience are pointed out. Google executive Philipp Schindler explained that Maps has basic directions, requests/searches for things nearby, personalized recommendations, and nearby business listings. As for the other three, though, he describes them as a “really, really interesting playground” going forward. We want to be able to highlight things that are around you and surface them nearby to you in a way that’s not disrupting your experience. We’ve been pretty careful about not being very aggressive about how we present those to users because we don’t want users to feel like we’re overloading the experience. Moonka has apparently been working on Maps advertising for the past two years. It’s unclear what timeline is attached to this for Google, but it sounds like the company isn’t wasting any time.